Could your business benefit from accessing new international travel markets? Northumberland is one of nine English National Parks benefiting from £1million funding to encourage more overseas visitors. “Making Great Memories in England’s National Parks” has successfully won this funding from the UK Governments £40 million Discover England Fund administered by VisitEngland. We're delighted to announce that Northumberland will be represented by two of our businesses at national level in the forthcoming tourist industry Awards for Excellence. Seafield Caravan Park based in Seahouses will battle it out for the Holiday Park / Holiday Village of the Year award whilst Laverock Law Cottages located near Lowick tackle the Sustainable Tourism Award. 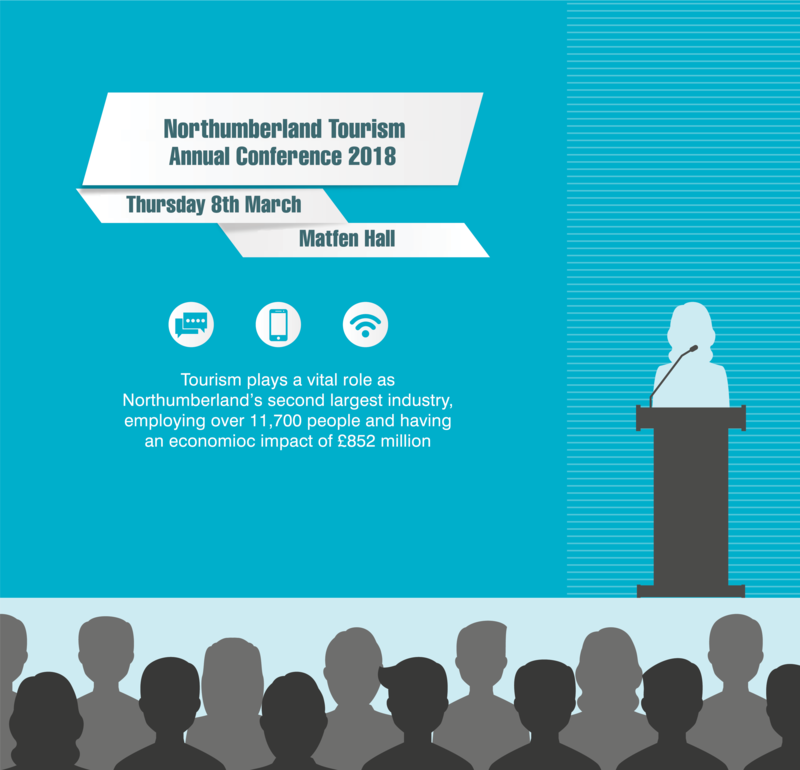 Thank you to everyone who attended the 2018 Northumberland Tourism Annual Conference at Matfen Hall. We hope you all found the day helpful and informative, with some important industry updates from subject experts. North Pennines AONB Partnership are running a ‘Star Tips for Profits’ workshop at the North Pennines Observatory on 19th March, 6-9pm. This is a great opportunity for tourism businesses to visit the Observatory, find out about how it all works and benefit from a workshop led by journalist and stargazer Richard Darn. Pip Bowhay from Kenton, a small village near Exeter in Devon, is a passionate charity fund-raiser and a determined, inspirational lady. For Pancreatic Cancer Research she walked the 479 miles of the Santiago de Compostela back in 2015 and shaved her hair off in 2016; she has organised abseils down the local church tower, held frock swaps and compiled a cookbook – all to raise money for a variety of good causes. QiT are pleased to announce and launch, three new modernised great value quality assessment schemes that reflect the dynamic developments happening in accommodation. The schemes start at an entry level with the Safe, Clean and Legal™ scheme, moving on to a full Quality Star Rating Assessment, and for properties that offer their guests the WOW factor by being unusual or having special facilities, a new “Unique” Accommodation Accolade. Read more: Quality in Tourism (QiT) putting the WOW back into Assessment Schemes in 2018!